Dumplings- Hello everybody, welcome back with ZetiraKitchen! Today i will share about How to Make Chinese Dumplings. Dumplings are a typical South Asian food. 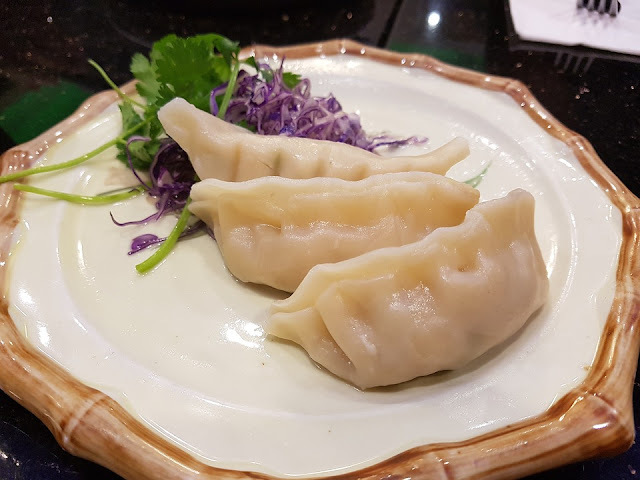 This dish is similar to baozi and typical Chinese jiaozi, typical Mongolian buuz, Japanese gyoza and Korean mandu. Dumpling is one type of dimsum. This dish is believed to have originated in Tibet and has since spread to neighboring countries along with Tibet. Dumplings usually consist of minced meat and add some vegetables then wrapped in a piece of skin made from flour dough. Dumplings can be found in restaurants. But, cause dumplings has easy method, we don't need to leave our house to buy it in the restaurant, just play your kitchen tools and you can serving the yummy dumplings. Add chicken, shrimp, spring onion, ginger, soy sauce, sesame oil, salt and pepper in a bowl. Set aside. To make dumpling, place the spoonful of meat into the middle of the circle dumpling skin. Give water to the edge of the siomay skin. Fold it so that it becomes 1/2 circle and the edges of the edges. Then steam for 10 minutes. Serve with soy sauce or black vinegar.